Founded in 1980 as The Urban Wildlife Group we were the first organisation in what became a major urban wildlife movement by the 1990s. Today the importance of wildlife in towns and cities is accepted by everyone - even politicians! The Urban Wildlife Group didn’t just spring out of thin air in 1980. During the 1970s there was increasing public demand for public open space in towns to go beyond the conventional manicured parks with closely-mown lawns and ornamental bedding. There was also a reaction to urban dereliction and high-rise landscapes which provided cultural and environmental deserts, and a realisation that towns and cities could accommodate wildspace and informal greenery. At the same time a cohort of landscape architects emerged who were keen to push the idea of green landscapes into design practice, and local authorities began to employ ecologists and environmental planners. And there was public demand for access to nature, with an increased awareness of the natural environment through the media, in particular television when the grainy monochrome of Zoo Quest shifted to the vivid colour of Life on Earth, and the realisation that wildlife is found just as much in the back garden and that little bit of scrub down the road as it is in the Serengeti and the Amazon. So the time was right, and some key people were in the right place to promote urban wildspace too. In the late 1970s, George Barker was appointed as Urban Programme Co-ordinator with the then Nature Conservancy Council, and in 1978 Bunny Teagle published ‘The Endless Village’, a report on the green open spaces and their natural history in the Birmingham and Black Country conurbation. Then in 1980 a planning application was submitted to drain Moseley Bog and put up houses. Residents launched a ‘Save our Bog’ initiative and in July 1980, a few weeks after the Moseley Bog campaign began, a group of local naturalists, teachers, planners and landscape architects formed the Urban Wildlife Group (UWG) as an activist body seeking a greener Birmingham and Black Country. It immediately put its weight behind the campaign. The wetland was saved – by what was to become the Moseley Bog Society supported by the newly-hatched UWG. Founding members of UWG included its first Chair, Chris Baines, who has since become a well-known writer and broadcaster (and a Vice President of the Trust); Peter Shirley, the next Chair, the Trust’s first Director (1987), and currently our other VP; and the environmental consultant Alison Millward (the third Chair). Meanwhile trouble was also brewing at Plantsbrook in eastern Birmingham where a developer submitted a planning proposal to drain the lake and establish a landfill site. Local residents opposed to this scheme received advice and support from the UWG. A public enquiry found against the proposal, and the upshot was a peppercorn rent from Birmingham City Council and the establishment in 1985 of what is now a wonderful community nature park. With Moseley Bog and Plants Brook, UWG was beginning to make its mark, and we have continued to provide a critical voice against environmental vandalism, for instance helping to save Stubber’s Green Bog SSSI in 1985, Clayhanger SSSI in 1987 and Basin Sidings in Wednesbury in 1996. By the mid-1980s the UWG’s involvement with the Manpower Services Commission meant a staff varying from eighty to well over a hundred, dealing with habitat survey, planning application monitoring, education and landscape design. In 1988 the Group found itself unable to work with changes in the terms of the government-sponsored training schemes, and lost all but its core professional staff. Nevertheless it has continued with its objectives using funding from a variety of sources, and has recently expanded its staff numbers to levels not seen since the mid-1980s. It has spawned the general idea of the urban wildlife group so that now over sixty such groups exist in the UK. In the 1980s protracted negotiation saw it become a member of the national Wildlife Trusts Partnership, and the three 'county' Wildlife Trusts for Staffordshire, Warwickshire and Worcestershire largely withdrew from the conurbation. 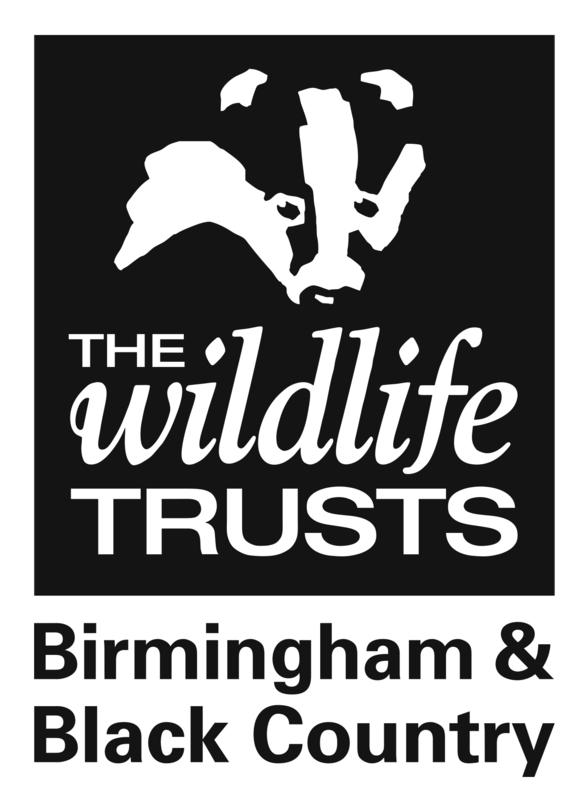 The Trust has provided core personnel and support for important local and regional initiatives such as the West Midlands Nature Conservation Strategy of 1984, the Black Country Nature Conservation Strategy (1994) and the Birmingham Nature Conservation Strategy (1996); the region’s Biodiversity Action Plan (2000); and the Black Country Large Area for Wildlife (2004). We have moved from shared quarters with Friends of the Earth in Allison Street, via a suite of offices in Albert Street, accommodation in Sherlock Street and the Jubilee Trades Centre, to our office near Five Ways. In 2017 we moved to Centre of the Earth nature reserve in Winson Green. Centre of the Earth was once a derelict site bordering a loop of the Birmingham Canal, it was used to construct Birmingham’s own ecohouse, the Centre of the Earth, opened in 1991, and houses some of our varied education and community work. This was the first such environmental resource and education centre in the UK and indeed only the fourth in the world. The original nursery in the Edgbaston Guinea Gardens has moved to Small Heath, extended from a plant nursery into a series of habitats that demonstrate many principles of sustainability. Huge thank you to Mary Girvan of the Friends of Moseley Bog for digitising thousands of slides discovered in the archives during an office move in 2017.